Enchanting guests since 1980, Parichay is ideal for all your requests; 20 luxurious rooms, sophisticated conference halls, exceptional technological services including wi-fi internet and unparalleled professional room service are few of the things that help you experience leisure, comfort and convenience at the same time. 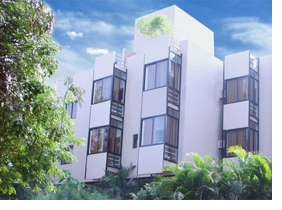 Situated in the heart of the city, Parichay Pune, akin to its location immerses its guests in a perfect blend of culture and the contemporary charm. Sharvaree our multi-cuisine restaurant offers everything to a quick bite sandwich, traditional Maharashtrian dishes, South Indian delicacies, authentic Chinese cuisine and our much loved Punjabi preparations. Experience Hotel Parichay once and you will know why it occupies the heart & pride of citizen of a city that is in an exclusive class by itself. 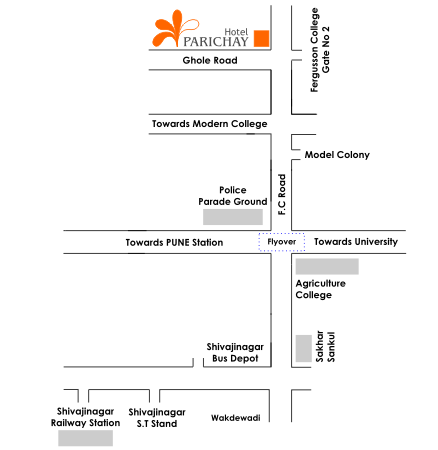 Hotel Parichay is located in the central zone of Pune. Prominently situated on The Fergusson College Road, in the Deccan area of Pune the main shopping and financial areas and enjoys easy access to both Railway Station and International airport. Our Unique location puts you in close proximity to business organisations, educational Institutions, places of historic & tourist importance and entertainment & shopping malls. 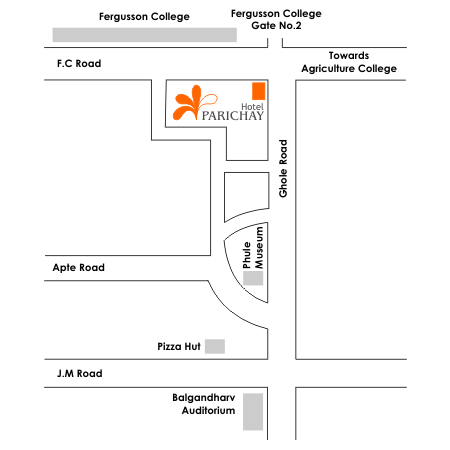 Click below to view Location Map of HOTEL PARICHAY | To download , right click on the .pdf logo & select SAVE TARGET AS.